Solar wind flowing from this coronal hole should reach Earth on May 19-20. Credit: NASA/SDO. 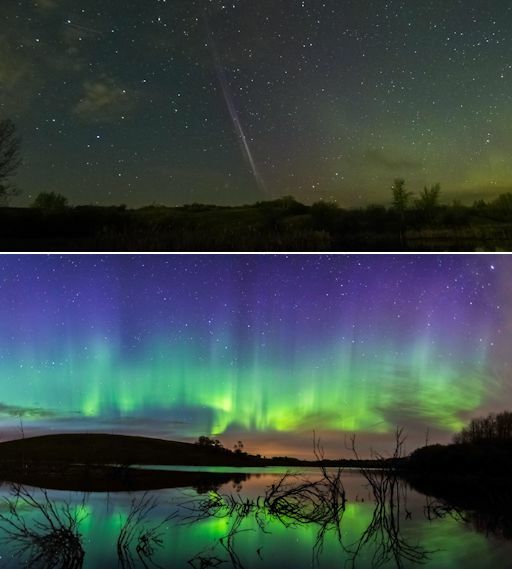 "Steve hung out with me for about 15 minutes on May 17th," reports photographer Harlan Thomas, who witnessed a spectacular display of auroras over Twisted Ponds. 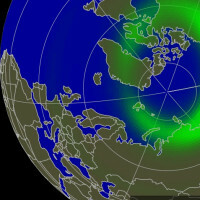 The lights appeared as Earth moved through a stream of fast-moving solar wind that briefly interacted with our planet two days ago. Steve is still a mystery. No one fully understands the underlying physics of the ribbon. However, one of the European Space Agency's SWARM satellites recently flew overhead while Steve was active, providing some clues. 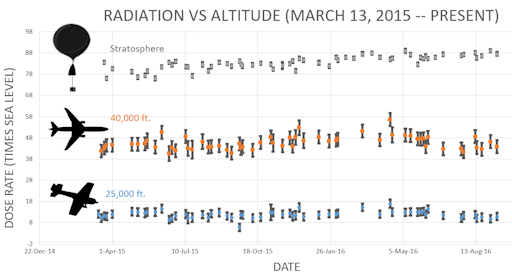 "As the satellite flew straight though Steve, data from the electric field instrument showed very clear changes" reports Eric Donovan from the University of Calgary. "The temperature 300 km above Earth's surface jumped by 3000°C and the data revealed a 25 km-wide ribbon of gas flowing westwards at about 6 km/s compared to a speed of about 10 m/s either side of the ribbon." These clues, confirmed and supplemented by similar flybys in the future, may yet crack the mystery of this phenomenon. For now, Steve is unpredictable and may appear in the aurora gallery at any time. Stay tuned! 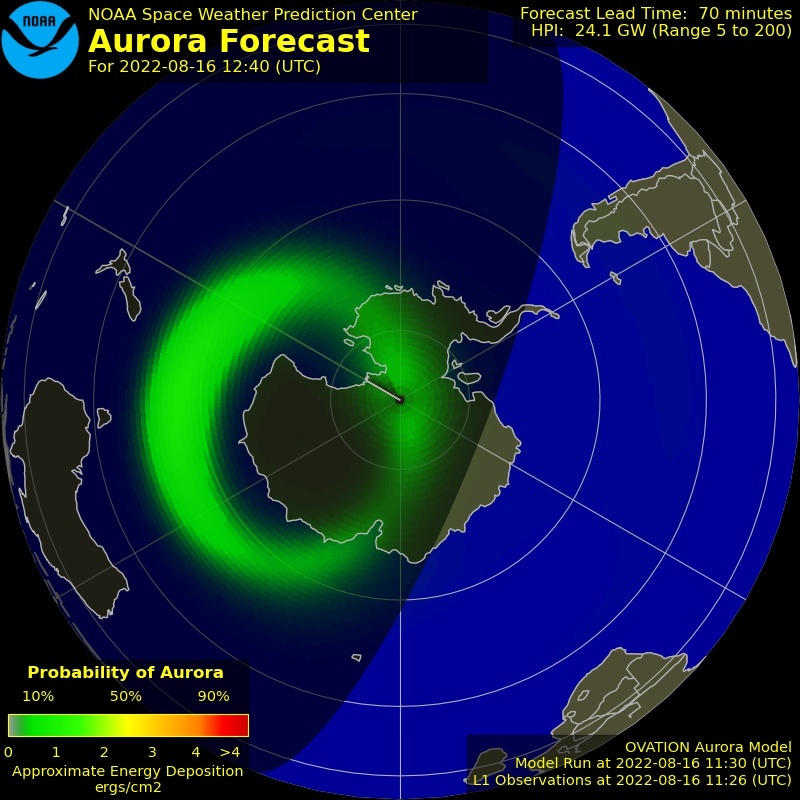 ANTHROPOGENIC SPACE WEATHER: Space weather can have a big effect on human society. Sometimes human society returns the favor. 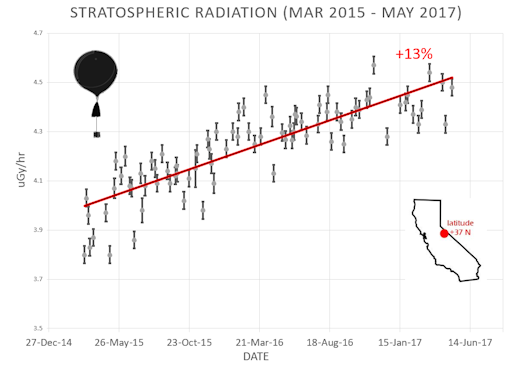 A new study entitled "Anthropogenic Space Weather" just published in Space Science Reviews outlines how human activity shapes the space around our planet. A prime example: Human radio transmissions form a bubble in space protecting us from "killer electrons." 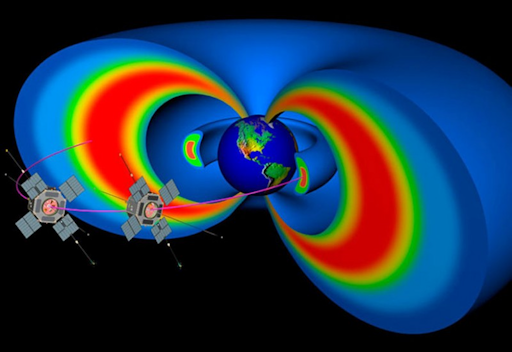 Co-author Phil Erickson of MIT's Haystack Observatory explains: "As Van Allen discovered in the 1950s and 1960s, there are two radiation belts surrounding Earth with a 'slot' between them. Our research is focused on the the outer radiation belt, which contains electrons with energies of a million or more electron-volts. These 'killer electrons' have the potential to damage spacecraft, even causing permanent failures." 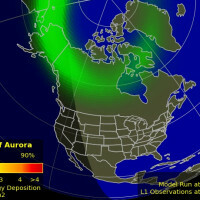 During strong geomagnetic storms, the outer radiation belt expands, causing the killer electrons to approach Earth. But NASA's Van Allen Probes, a pair of spacecraft sent to explore the radiation belts, found that something was stopping the particles from getting too close. "The penetration of the outer belt stopped right at the same place as the edge of VLF strong transmissions from humans on the ground," says Erickson. "These VLF transmissions penetrate seawater, so we use them to communicate with submarines. 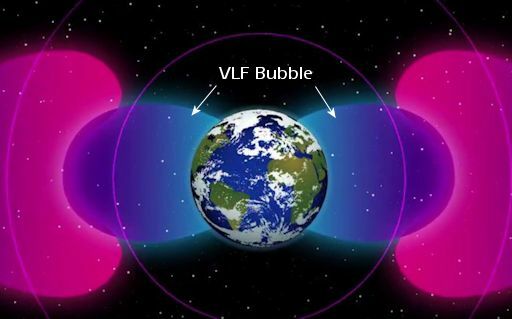 They also propagate upward along Earth's magnetic field lines, forming a 'bubble' of VLF waves that reaches out to about 2.8 Earth-radii--the same spot where the ultra-relativistic electrons seem to stop." 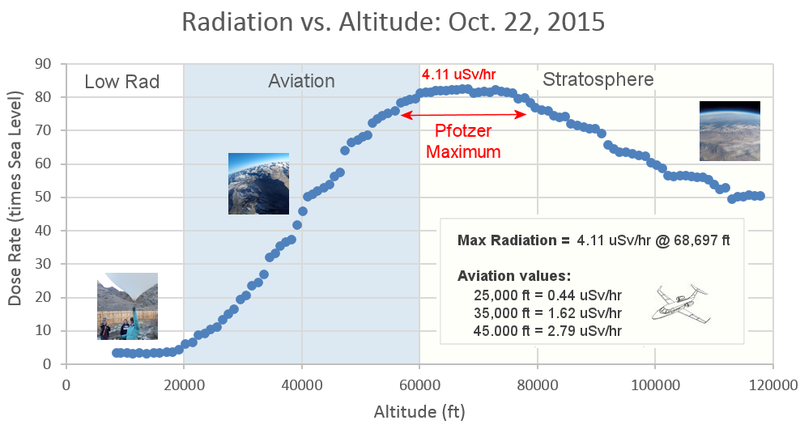 VLF radio waves clear the area of killer electrons "via a wave-particle gyro-resonance," says Erickson. "Essentially, they are just the right frequency to scatter the particles into our atmosphere where their energy is safely absorbed." 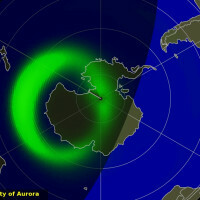 "Because powerful VLF transmitters have been operating since before the dawn of the Space Age, it is possible that we have never observed the radiation belts in their pristine, unperturbed state," notes the team, which includes John Foster, a colleague of Erickson at MIT and a key leader of this research, along with Dan Baker at the University of Colorado Boulder. 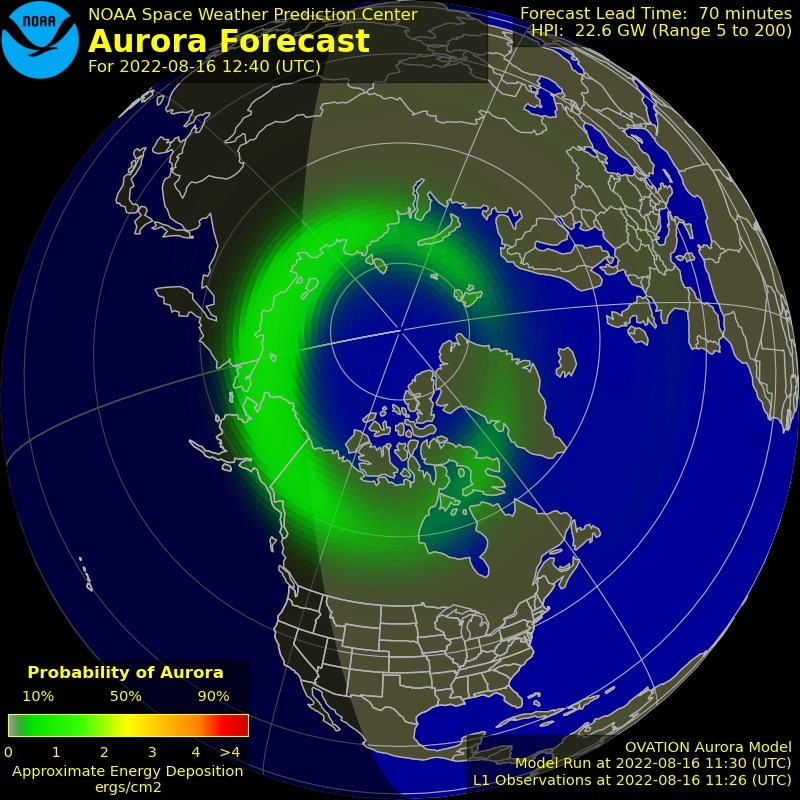 Other anthropogenic effects on space weather include artificial radiation belts created by nuclear tests, high-frequency wave heating of the ionosphere, and cavities in Earth's magnetotail formed by chemical release experiments. Download the complete paper here. 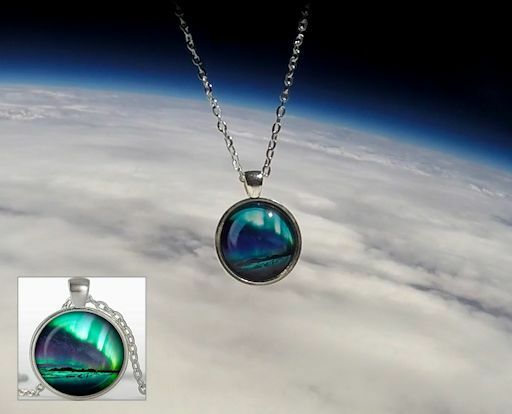 To raise money for more cosmic ray balloon flights, on May 6th the students launched a payload of these Northern Lights pendants to the top of Earth's atmosphere. You can have one for $79.95. Each piece of space jewelry comes with a greeting card showing the item in flight and telling the story of its journey to the stratosphere and back. They make great birthday and Mother's Day gifts. More far-out gifts may be found in the Earth to Sky Store. All proceeds support atmospheric radiation monitoring and hands-on STEM education. On May. 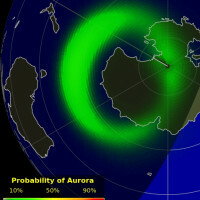 19, 2017, the network reported 19 fireballs. On May 19, 2017 there were 1801 potentially hazardous asteroids.